Install electronic control valve (TM 55-1925-319-23). Install jam nut (Figure 2, Item 3) on new magnetic pick-up (Figure 2, Item 2). Install magnetic pick-up (Figure 2, Item 2) into flywheel housing (Figure 2, Item 4). 0.015 ± 0.0127 in. 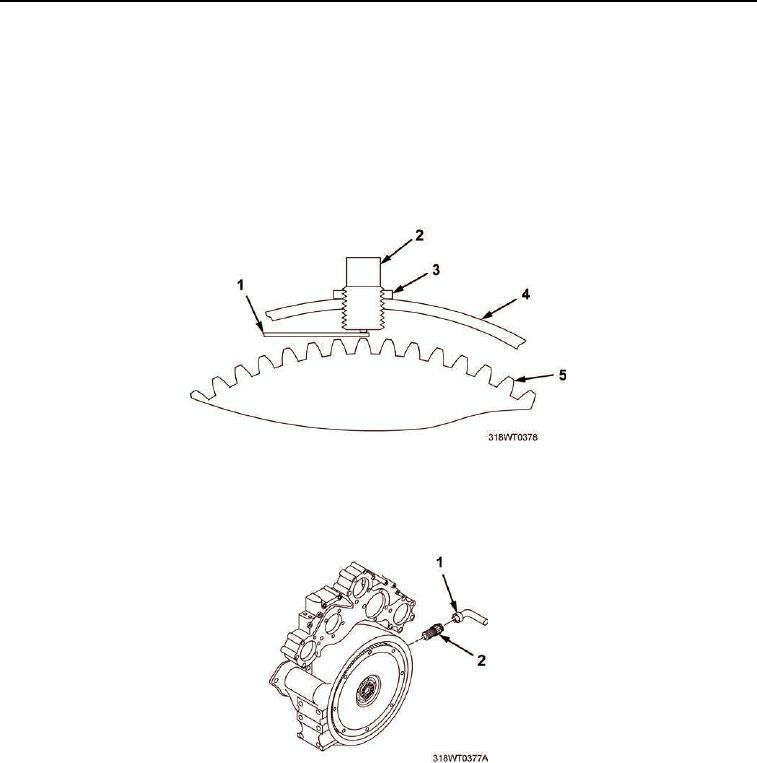 (0.0381 ± 0.0127 cm) from flywheel ring gear (Figure 2, Item 5). Tighten jam nut (Figure 2, Item 3) on magnetic pick-up (Figure 2, Item 2). Verify gap between magnetic pick-up (Figure 2, Item 2) and ring gear (Figure 2, Item 5). Connect electrical connector (Figure 3, Item 1) to magnetic pick-up (Figure 3, Item 2). Install marine gear (TM 55-1925-319-23). Install marine gear oil pump (TM 55-1925-319-23). Install hydraulic pump (TM 55-1925-205-23). Service hydraulic system (TM 55-1925-205-23).